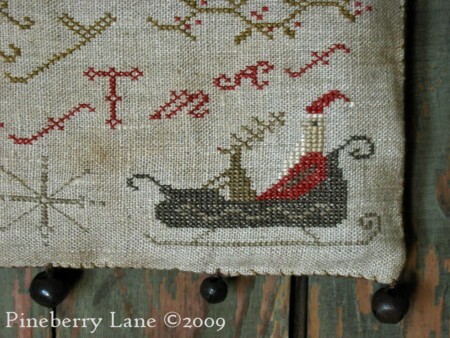 An old fashioned Christmas hanging sampler featuring a benevolent Santa giving his littlest reindeer a ride in his sleigh. Done in lovely muted shades of Christmas red, moss green, silvery gray, nut brown & charcoal. A row of bells at the bottom sounds a merry little tune. 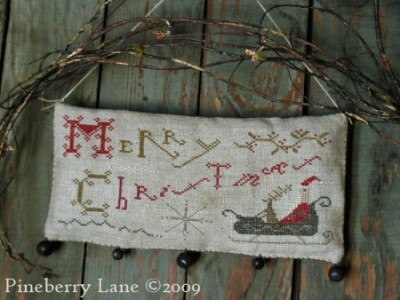 stitched on 28 count natural, unbleached linen. 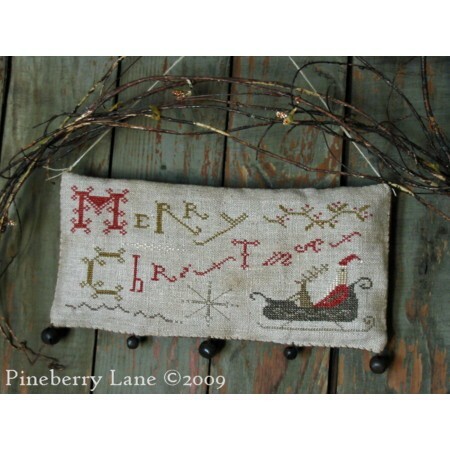 Pattern includes color photo, professional cross stitch chart with floss colors, aging instructions, and directions for making the hanging sampler.